Online Free Pay Stub Generator for small, medium and large business. We have launch our new pay stub maker online application which is free for everyone. Start using our new application which is absolutely free Click Here. 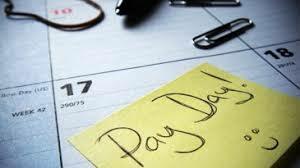 Everyone needs a user-friendly time saving the online application by which you can generate professional Pay Stub. Our application is free and very simple to use. You can generate your staff pay stub in minutes. The good part of this application is you can generate unlimited Pay Stub absolutely free with no hidden charges. The application is designed keeping mind real-world user's need. The whole application is clean and Ads free with no zero complex options. In addition, We are also providing free support to every user in case you have any trouble while using our application. Feel free to ask any question regarding the application at help@websbird.com. The support is absolutely free and we don't charge you. The base application is free however we have premium plans also for those who want more features. Our premium plan is annually charged and you will get premium support for the whole year. The prices are very affordable and in return, you will complete Payroll management software with high-end features. Now, you must be thinking that how much we charge for complete payroll software right? Let me tell you the complete payroll application cost, you will only charged $30/year. Shocking? but this is true. Our cost is unbeatable which covers all features of payroll software with complete support. Try our Free or premium package and we guarantee you will love it. In case you are not satisfied with our premium plan we give you 100% money back. We are a customer-centric company and we care about our customers. If you have any questions or concern regarding our online application then feel free to write to us at help@websbird.com.